I know I just got back from Kauai, but I have a little backtracking to do. Last month I was in Boise to race the Boise Ironman 70.3. 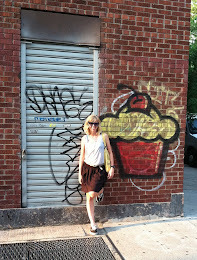 I had a great time (despite having an awful race), and even managed to squeeze in a little cupcake research. 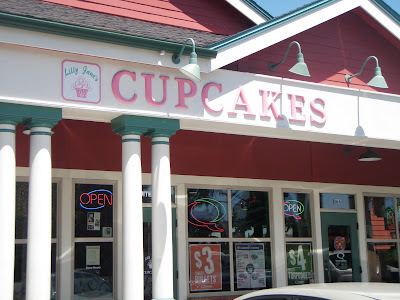 The only cupcake shop I could find was Lily Jane's Cupcakes in Eagle, Idaho. I didn't expect much since my sister-in-law said she heard through the grapevine that the cupcakes weren't great. I wasn't going to let that stop me, as this was the only cupcake shop around! The store's atmosphere was about the same as most places. The cupcakes were located behind a glass display. There were regular-size and mini cupcakes to choose from. Since I wanted to try several flavors, I chose three minis. My flavor choices: Black & White, Strawberry, and Caramel Apple. Black & White: The chocolate cake was moist, but the frosting had sort of a gummy texture. I felt like I was chewing the frosting. Strawberry Fields: The frosting had the same sort of gummy texture. Also, there wasn't much of a strawberry flavor in either the frosting or the cake. Caramel Apple: The apple cake was delicious! It was topped with a brown sugar glaze and cream cheese frosting. The cream cheese frosting was way better than the buttercream frostings. This was my favorite cupcake by far and I would definitely buy it again. 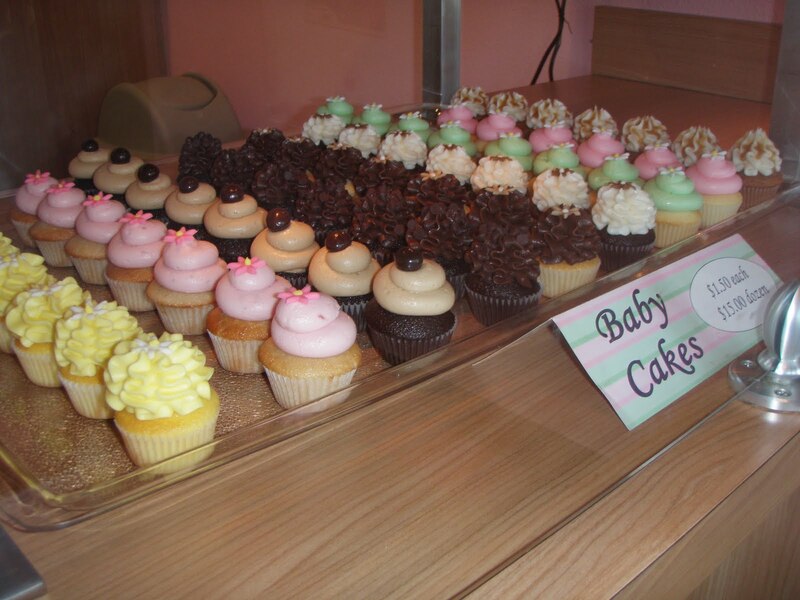 Lily Jane's Cupcakes sells their regular-sized cupcakes for $2.95 and the minis for $1.50. I feel this is a bit pricey, as their cupcakes are average and this is Idaho. But if you are far from home in the Boise area and you are craving a cupcake (maybe because you just raced in a Half-Ironman), then Lily Jane's will hold you over. My advice would be to stick with the cupcakes with the cream cheese frosting. Thanks so much for doing this review!! We will be moving to Boise in about 6 weeks and were there this last week to do some house hunting. SOOO of course I had to try this shop. 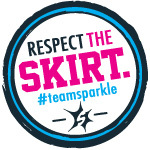 I totally agree with your comments about the cupcakes, my husband and I with our 2 daughters all tried a different flavor and even the kids didn't finish their cupcakes. I was very disappointed and will be on the lookout for another one in the area!! 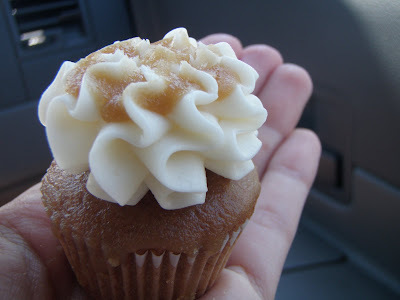 Boise got a new cupcakery called Sugar Rush, it is AMAZING. I am also a cupcake fanatic and go to any cupcake place I can. I think Sugar Rush is very comparable to Sprinkles in a sense that the cupcakes are ALWAYS moist! They also have 20+ flavors including gluten free and vegan versions always on hand. Definitely try that place out next time you are in Boise! Lilly Jane's is under new ownership as of March 2013. The new owners have enhanced most of the original recipes, and has been creatively coming up with amazing new flavors. 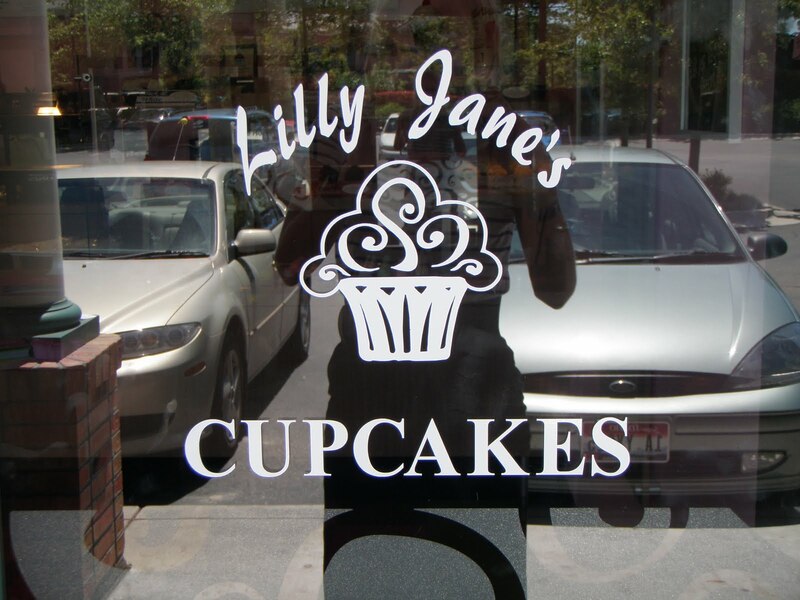 Lilly Jane's still makes their cupcakes from scratch daily, and continue to use quality ingredients. 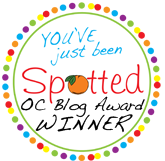 They have partnered with Olive and Vyne (a local company next to the Eagle location) and are using their balsamic vinegars in several new flavors. In July 2014, they also opened up a second location in downtown Boise. 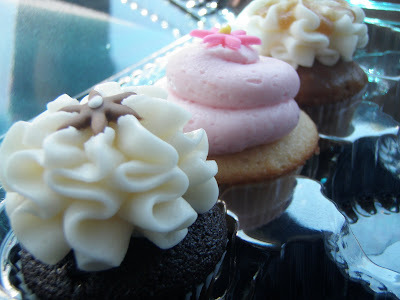 As a recent addition, they also are offering gluten free and vegan cupcakes to order. The next time you are in town, be sure to stop in and re-try Lilly Jane's Cupcakes!